This article is about Spindletop, the ‘sanctuary’ from which hundreds of pit bull dogs were rescued through a large-scale animal cruelty investigation. 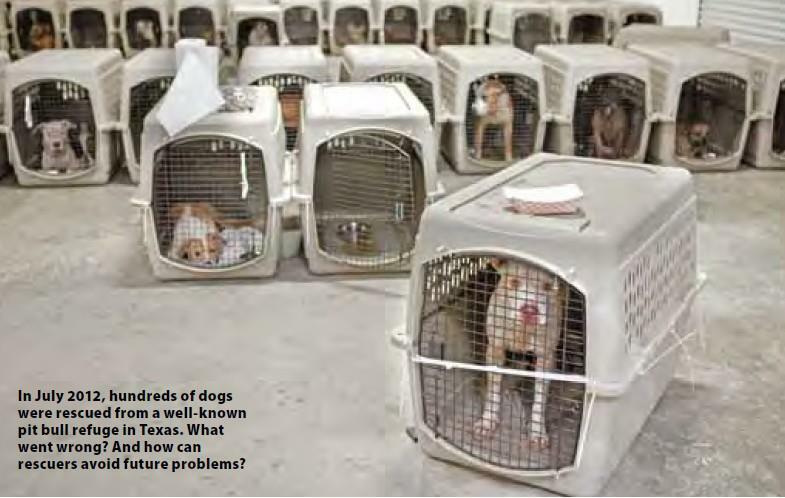 Some of the dogs were sent to Spindletop because of these assumptions. Animal Farm Foundation and HSUS shared some valuable feedback from their experiences helping with the Spindletop case, both on the ground with the dogs and behind the scenes with the people who sent them there. “Given Spindletop’s reputation for taking “difficult” dogs, they went into the site expecting to deal with placement challenges. They were surprised by how many dogs were “just lovely,” said Stacey Coleman, Executive Director of Animal Farm Foundation.